Freelancing comes with a ton of benefits, such as flexibility and independence, as well as diversified opportunities for development. More than 69% of freelancers say that the freedom aspect is what attracted them to this professional path in the first place. But we should not forget that the freelancer’s freedom also has its price. To be a successful independent professional, you need to be much more responsible, punctual, and proactive than what is required of you in any other job. One of the major aspects that many professionals who want to advance their freelance careers are struggling with is effective communication and project management with clients. It requires a ton of patience and perseverance, as well as planning and thinking ahead. But building strong relationships and avoiding potential problems with your clients may not be so difficult if you apply the golden rules of freelancing: set your rules for work on paper. Besides having a contract, a standard feature of negotiating work with a client involves creating a statement of work. 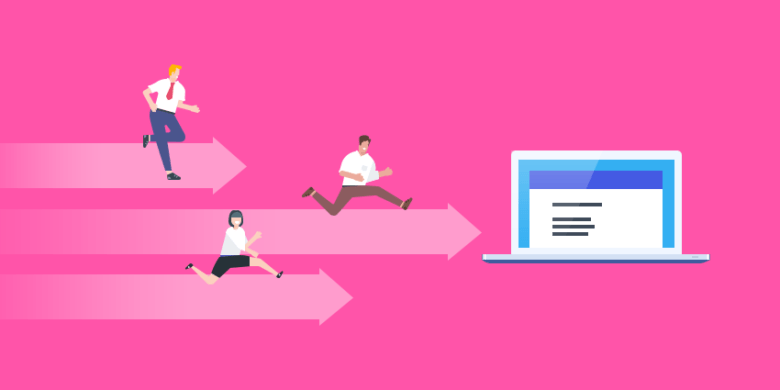 It often accompanies the contract and helps freelancers to keep their focus on the important features of projects and to stay away from trouble in their gigs. But why have an additional document on top of the contract? Well, the statement of work is the guidebook to the responsibilities you’re committing to. It expands on the exact tasks you will execute and the deliverables that you will present at the end. The statement of work serves multiple purposes. Of course, it’s useful for the client because they know what exactly they can expect to get from you. You can thus present yourself as a knowledgeable specialist and earn their trust by demonstrating that you are well-prepared and have a clear plan in place. On the other hand, the statement is a powerful security instrument for you. In case you stumble upon a problematic client who demands more work than agreed, or is simply being difficult, you can always refer to the statement of work to resolve issues and protect your rights. It is especially useful if a client tries to take over a project completely. By setting a statement in advance, you can establish yourself as the one in charge of the work – and as a professional who knows the ins and outs of the working process. You’d be surprised how many freelancers don’t create a statement of work, even though it is so central for the successful and stress-free completion of projects. Some people just don’t know they need one, or don’t realize how it can be of benefit. Creating a statement of work sets up the professional relationship for success and continued work, so here is how to get started with crafting yours. Why use a statement of work? Even if you think you have the easiest project at hand, or the coolest client, it never hurts to have a full agreement on your responsibilities before you start working on it. In fact, it can save you a lot of nerves and wasted hours down the line. A statement of work (SOW) is your strongest tool for managing your clients’ expectations. This document may be as simple as a single A4 page containing the specifics of the work you’re promising to complete. Sometimes it’s also called a scope of work document, as it sets exactly this – the scope, but in fact, the statement is much more detailed than that. The SOW explains how and what you are going to do to fulfill your obligations under the contract you’re signing. Once you create it, it becomes the reference point from where both you and your client can get a clear picture of what lies ahead. In some cases, you can use a statement of work, or a similar document such as a letter of agreement, instead of signing a contract. This option can be useful if the work relationship is more casual, but you still need a guidebook for the project tasks that need to be completed. Besides describing your tasks and deliverables, the statement also sets the expectations for what the client should provide as information or help. This section explains what their role should be in assisting the working process, as well as potential bottlenecks that they might cause if they do not participate adequately. Tired of waiting for clients’ feedback for ages? Make sure to include this section in your document. The statement of work also contains the timeline of the project. It fixes the deadlines for each deliverable. Of course, this is useful for the client, but it’s also important for you. You don’t want a project to drag on forever. By setting the time limits, you’re also creating a definitive framework for the client to react and provide feedback or other needed data. You may also include financial details in the SOW, such as budgeting or additional expenses that may be incurred during the execution of the work. The statement is also a great place to reiterate the payment details too. Define the deadlines and exact circumstances for receiving your online payments. This can be an extra protection for you against misunderstandings and delays. The benefits of a statement of work are numerous. But how do you go about crafting a detailed and useful SOW? Below are nine useful steps to follow. Make sure you note the project name, client, date, and your own name or company in the beginning of the document. You can also refer to this short template for creating simpler statements. And don’t forget – get the papers signed – physically or online – before you launch a project! The first lines of the statement of work are the place to be abstract. You need to write down the overarching objectives of the project and how you will achieve them with your freelance services. The description needs to cover all major aspects of the work that you are going to execute – but only in a few sentences. This is the bird’s eye view of the project. The results that are expected of you and how you plan to achieve them are probably the most important part of the statement. Create a separate section where you list what the client will receive once you’ve completed your tasks on the project. Be as detailed as possible and avoid abstract terms. Include metrics such as page number, length or other types of measurement that can adequately describe the amount, as well as the quality of the work that you will do. Make sure you don’t put in tasks and project reports in the list of deliverables, as they don’t belong there. The next section is dedicated to the scope of the project. This is the most definitive part of the statement, as it outlines your exact tasks – and the limits of your responsibilities under the contract. You should not give options here. Instead, you should clearly define the steps you will take to achieve the goals mentioned in the contract. You should also mention the location where the work will be executed, if that matters for the project at hand – whether it’s on-site or remotely. You may also want to note down any equipment that will be used for completing the project (again, if that makes sense in your particular case). A number of tasks that you have to execute – and that are crucial for the successful completion of the project – will depend on the contribution of the client. That’s why you want to include a part in the statement where you detail the responsibilities of the client towards the work you will do. Document all their duties, such as the materials they have to provide you with before you start, or any other input they need to have. It’s important to outline what you and the client agree is an acceptable deliverable. Defining the standards you both deem right can save you a ton of disputes from lack of clarity. This section relates to the requirements towards the client. Here you can set the communication channels that you will both use for timely exchanges. You can also mention the people in the respective company who will liaise with you. If you need to get feedback within a certain time frame, this is the place to say it – and to underline the importance of receiving it on time. In order to manage expectations on both ends, include the time frame for the project in the statement. Mention any milestones that you and the client agree on. Set the deadlines for each phase of the project, and for completing the deliverables. Some clients may also want to include a maximum number of billable hours that you will spend on the work, which can be per week or per month. If needed, note down potential difficulties that may delay the delivery of the work at the different stages. It can also be useful to set the circumstances in which either you or the client can withdraw from the project, if the time frame is not followed on either side. This section is the schedule of the project that both sides agree to follow and expect from each other. Even though you’ve probably outlined the budget in the official contract, it’s worth including it in the statement of work as well. Write down the distribution of the budget according to the major activities and materials needed. If they are going to pay invoices, set how the client will cover them. In order to preview potential changes, you can also mention if any additional expenses may be incurred, and how you will manage them with the client. Last but not least, you should have an agreement about the intellectual property over the work you will execute. Describe who will own the copyright over the materials you produce. Mention any disclosures or other agreements. It is crucial to reach a consensus on these topics before you start the project. This can be a major source of disputes with the client if not settled properly. What’s your experience with using a statement of work when negotiating your freelance gigs? What are your top tips? Sharing is caring – so don’t be shy in the comments section. 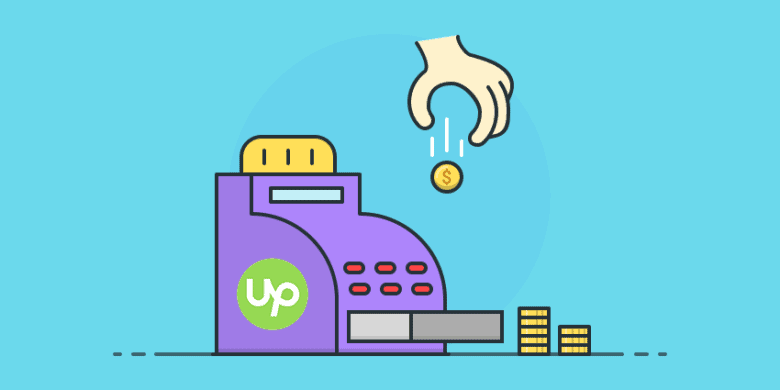 What Do the New Upwork Fees Mean for Freelancers and Employers? Looking for an Upwork alternative? There are quite a few options to pick from and while they may not be as big as Upwork, some are gaining in popularity. So how do you pick the one that fits your needs? In this post, we examine some popular Upwork alternatives that could suit your outsourcing needs.